Another year in the books and a new one just beginning. 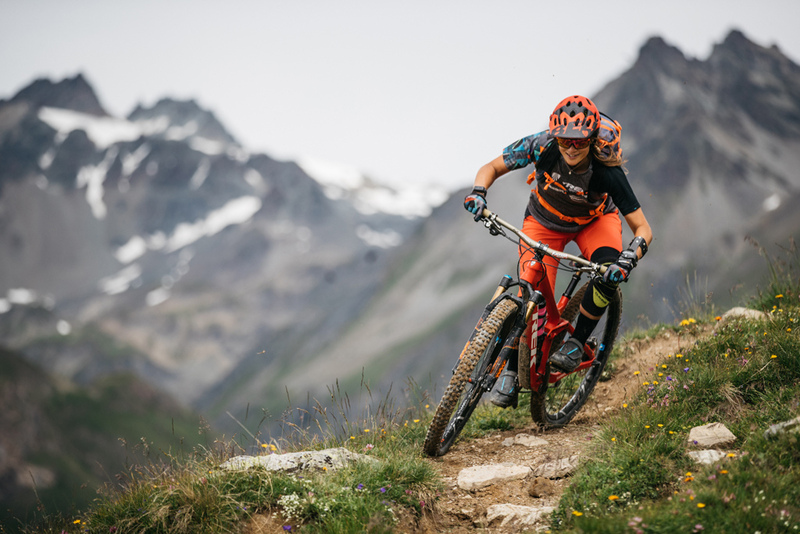 2017 marked the 9th year of the Trek Gravity Girls. Here, the individual riders on the team reflect on the season. Every rider has their own small or big injury story and it takes a while to find something positive coming from any broken bone - for me the 2017 season has proven this theory. It has been a very long and tough process with 4 surgeries in total after my crash in July 2016. I am happy to say that although I haven’t been able to compete, 2017 was one of my best seasons so far. Its the simple joy of riding with the added bonus of sharing some of the best trails in the world with great people that makes me unbelievably thankful for the last year. It all began with a rehab trip to California where I was still riding with a brace that stiffened up my wrist but made it possible for me to at least cruise around on my bike. From Temecula to Santa Cruz we visited amazing places and I absolutely loved California. Can’t wait to travel there again one day in full health. Back home I had to do a lot more rehab, not being able to travel lots. I am living in the flat east of Germany with not a lot of mountain biking. We decided to simply build some trails and a Crankworx-style pumptrack next to my local BMX track for me to train on. It has been a ton of work and I wasn’t able to dig too much so thanks to everybody helping out. 2018 I am planning to host the first ever Bike Festival in Eastern Germany on our new tracks. 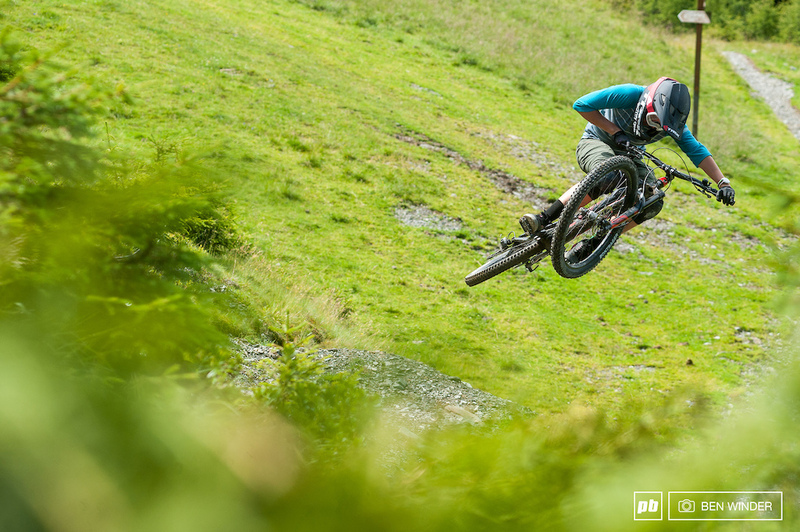 When you think of mountain biking in the UK there is for sure Fort William coming to your mind and maybe Wales… next to a couple of other trail centers all over the country. But have you ever heard of the Lake District? 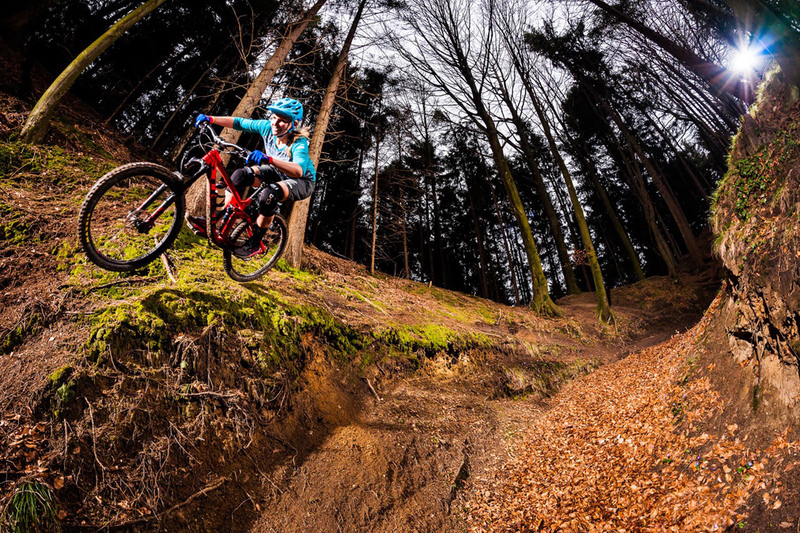 We went to visit local world cup hero Adam Brayton at home and I was lucky enough to get shown some great riding and landscape that I was not aware of existing in the north of England. Another highlight of the last season for sure were the Crankworx events and the time I spent with the Pinkbike crew, especially with my "sister from another mister" Micayla Gatto. She is just such a badass and we had a super rad time reporting from the events as the #twostokedgirls. Unforgettable times in Les Gets, Innsbruck and Whistler! 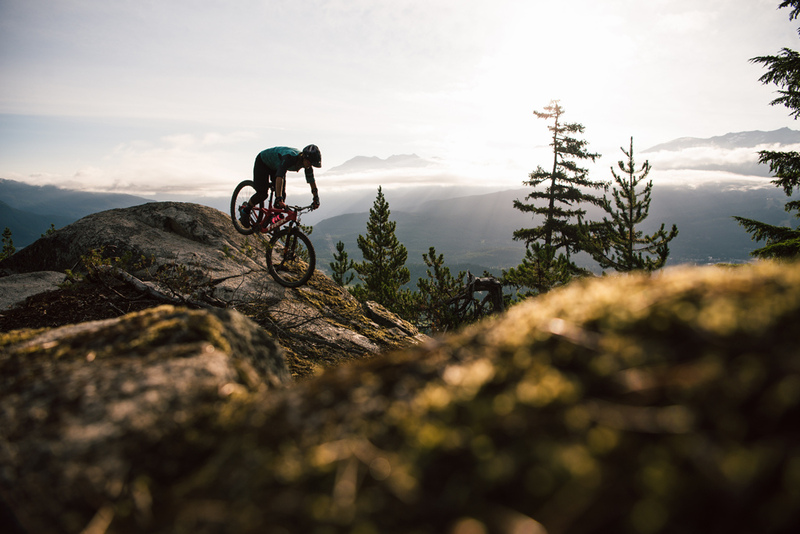 A huge personal high point was taking part in the Deep Summer Photo Challenge at Crankworx Whistler in the team of wildcard photographer Satchel Cronk. I won’t lie - it has been a real tough time trying to get a sick slideshow together in just three days with nobody in the team who was experienced with this format. 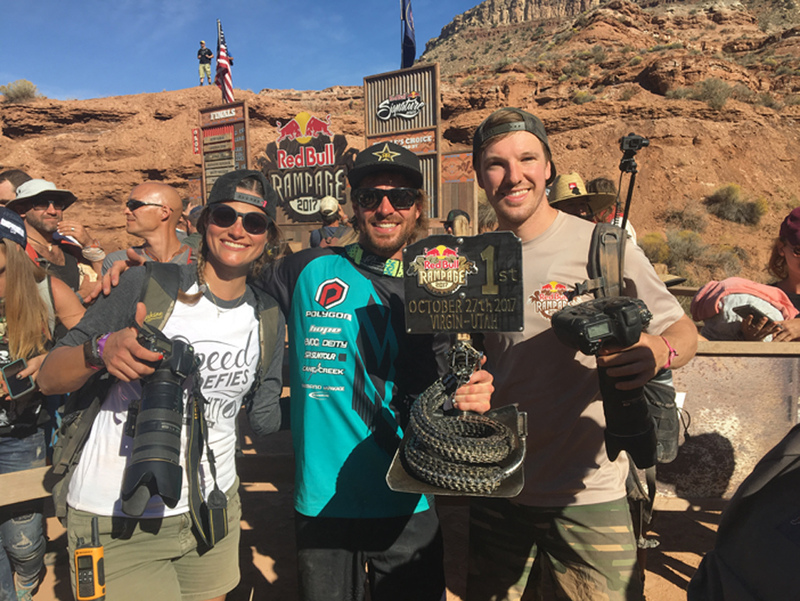 But Satchel, his girlfriend Leah and the international riders crew did the absolute best and I am super proud of our result. 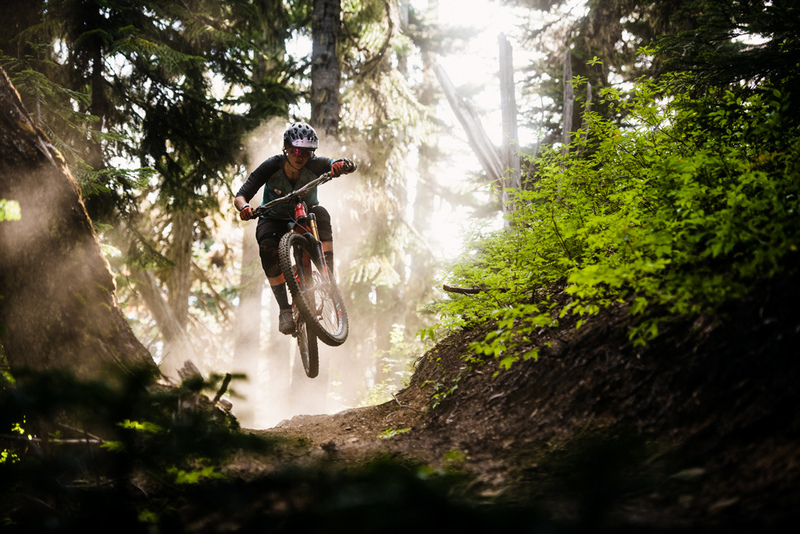 Before going to Whistler we were on a big BC trip where we visited Kurt Sorge at his house in Nelson. 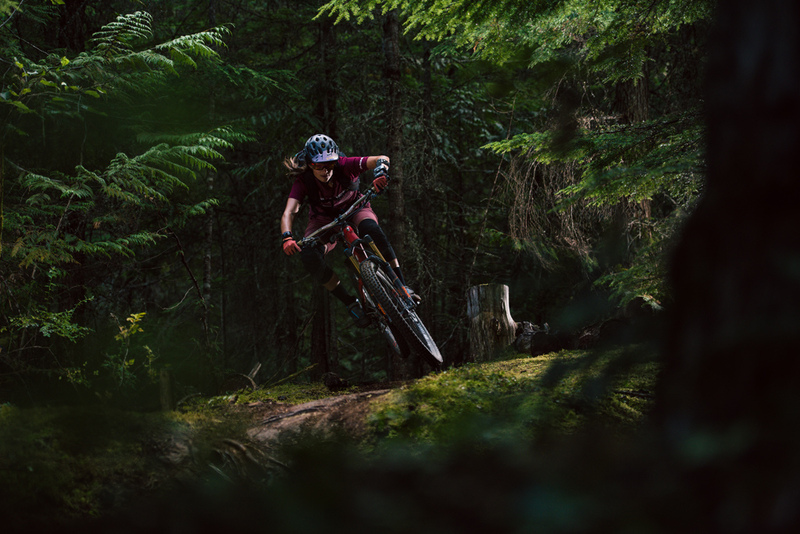 We spent one week together riding in Nelson, had an epic sunset ride at Baldface and stayed a couple of nights at Retallack lodge. Doing a helidrop to Texas Peak and an overnighter in a small hut next to Kurt´s Hoff-Fest jumps was just insanely good. 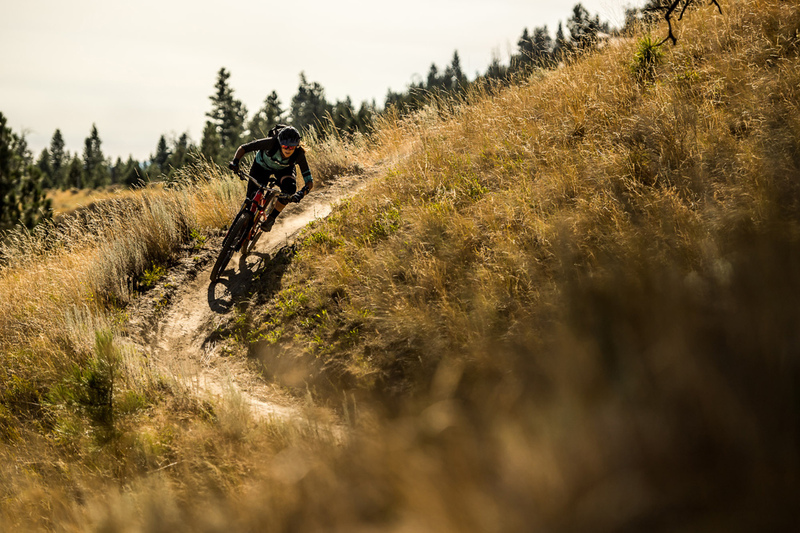 Followed by some rides in Kamloops and two weeks in Squamish this trip was something super special and I wouldn’t want to miss these great memories for any money in the world. Although I am crossing Switzerland a lot to go to places I have never really been riding much there. Last summer I finally did a Swiss adventure in Graubünden with Ale di Lullo and Richie Schley. 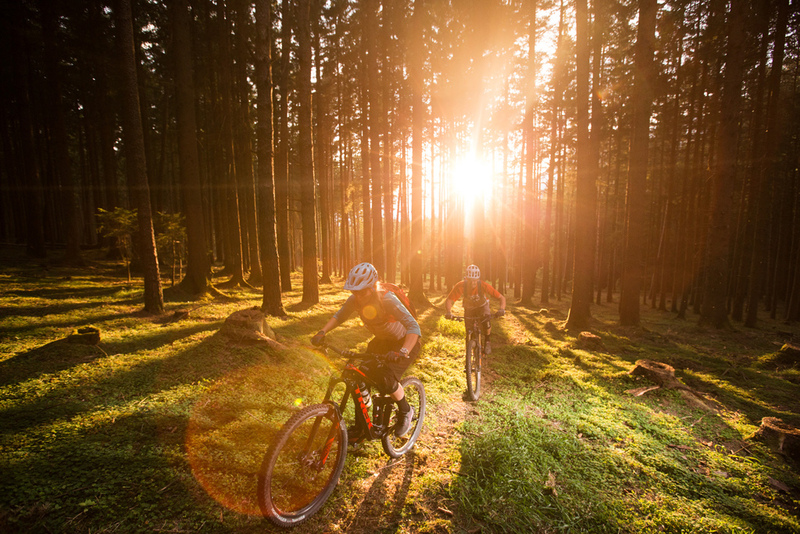 One of my favorite was the “Alps Epic Trail Davos” – a 45-kilometer trail, which has been named one of the best trails in the world by the International Mountain Biking Association. Big recommendation to go and ride this to everybody! 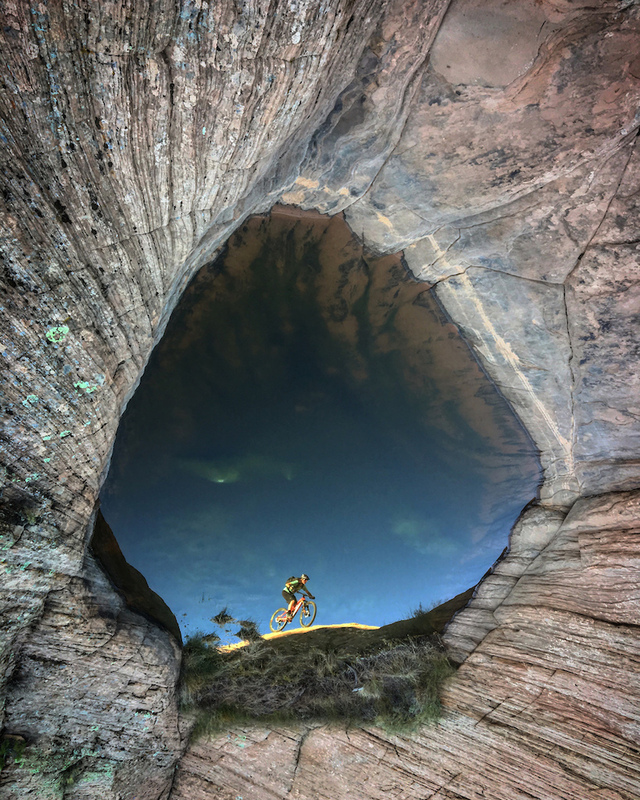 The best season end imaginable is of course: Red Bull Rampage! It has been my third time out there in the Utah desert and I have to say: The best Rampage I have seen by far. The spirits were great and all the riders smashed their lines, no big crashes, an epic final run from Kurt and the triple win for him - a perfect end to a perfect season. 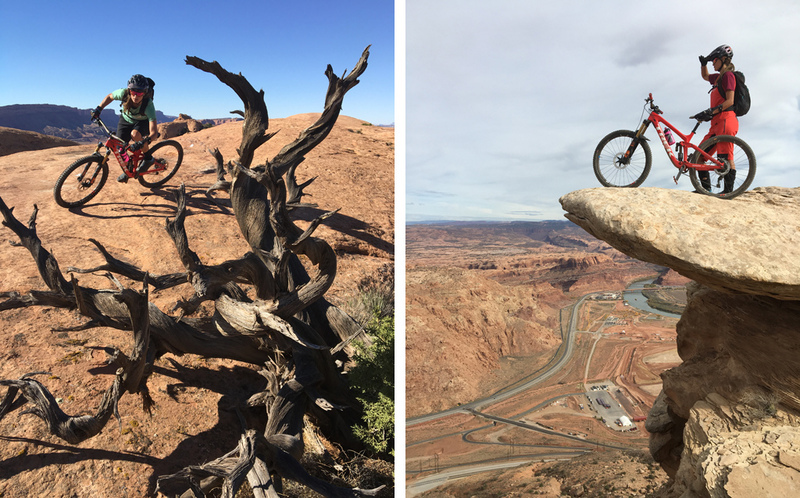 Before flying home we stopped over in Moab to make a check on another most famous bike resort of the world… and of course its worth a visit. I had my last surgery on the wrist and am currently on the Canary Island La Palma to prepare for 2018. Thanks for sharing the ride everybody!!! F*** it, let’s do it. That’s how I lived my 2017 season. We were so lucky with the weather and my jumps at home were rideable already in April. Coming into the season so motivated I took over lots of contests, races and events. Swatch Rocket Air was the first slopestyle contest and I jumped into my 80ies riding costume. The course was insanely big and the air time caused huge goosebumps. 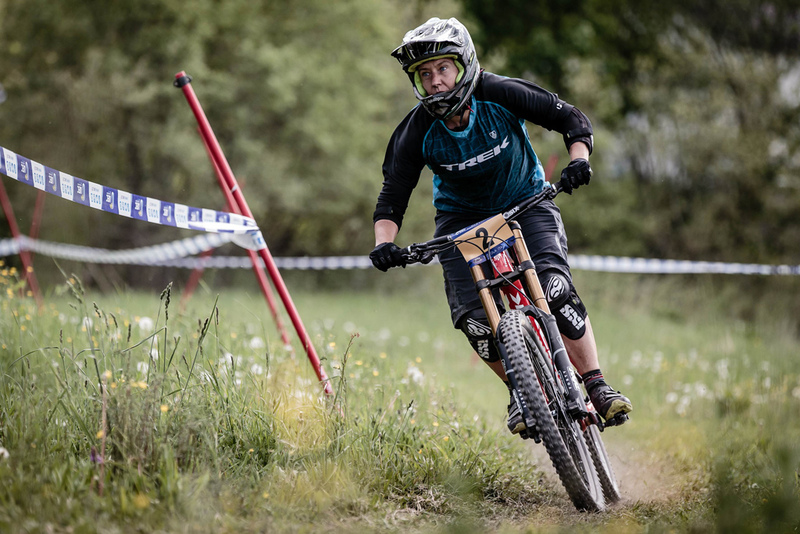 From Switzerland, I headed straight to Bikefestival Riva del Garda where I switched my dirt jumper Trek Ticket to an E-MTB to try the new format of E-Bike racing. 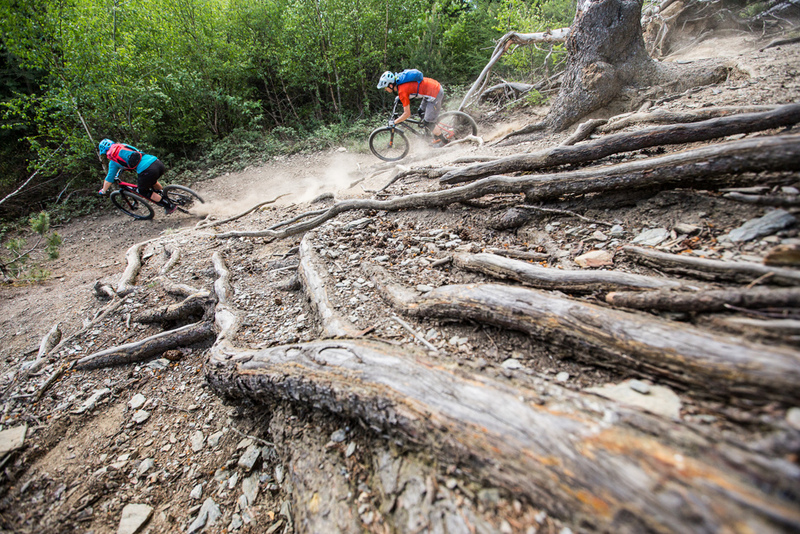 It’s like Enduro racing but with uphill stages where you are not allowed to take your feet off the pedals. It’s a bit like a skills race but lots of fun. I won the format in Willingen, Germany and switched back to my dirt jumper for 26Trix in Leogang, Austria. This course was without a question the most difficult I ever rode. Not just because the wind, the obstacles were so different and you had to break or pedal before each jump. The speed was very hard to figure and some take offs were not smooth at all. With Crankworx coming up on the schedule I took it easy and just rode in my safety zone. 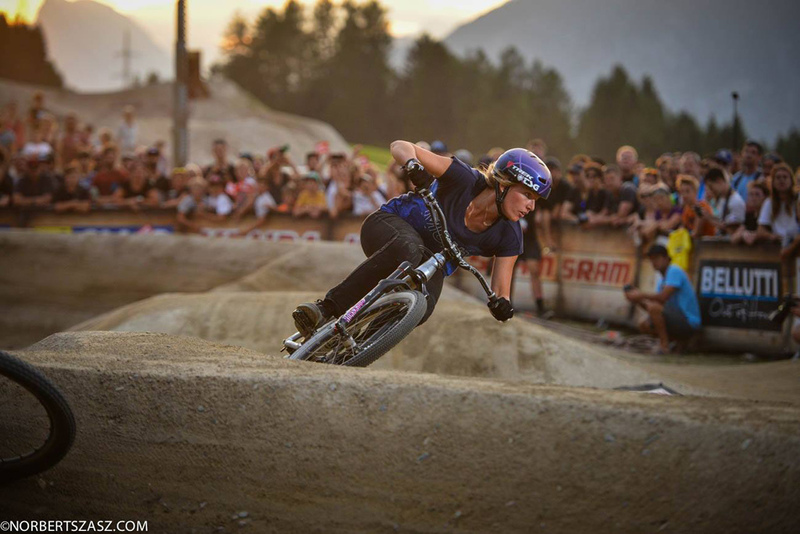 With Crankworx Innsbruck being so close to my hometown I had all my friends there to cheer on me during Pumptrack and Whip offs. I had to give it all. 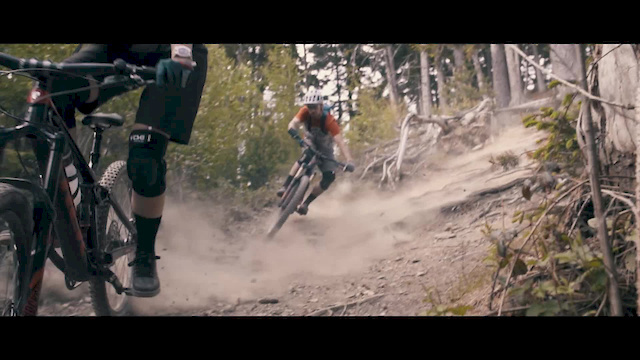 But there’s no better riding atmosphere than MTB Disney Land Whistler. 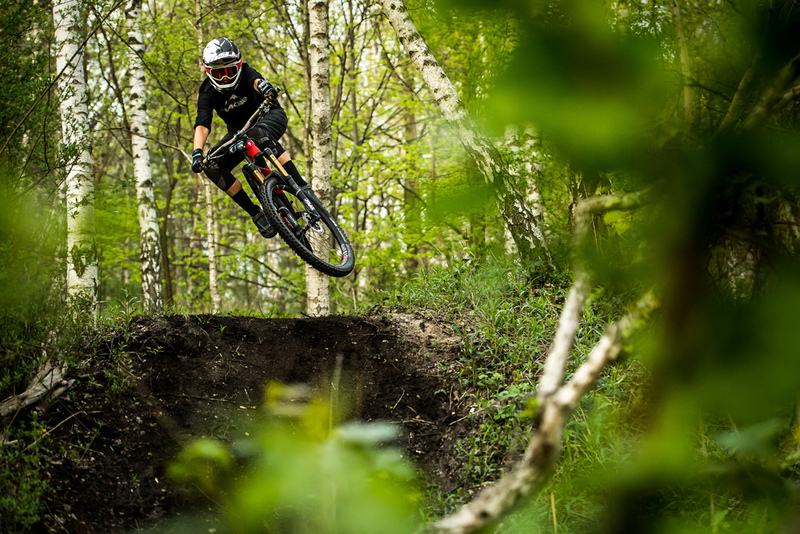 Party laps with rookie Vali Höll all day long on Dirt Merchant and Aline. Could it be any better? Next to all of those gravity events I also enjoyed competing in Enduro races just like German’s Enduro One series. 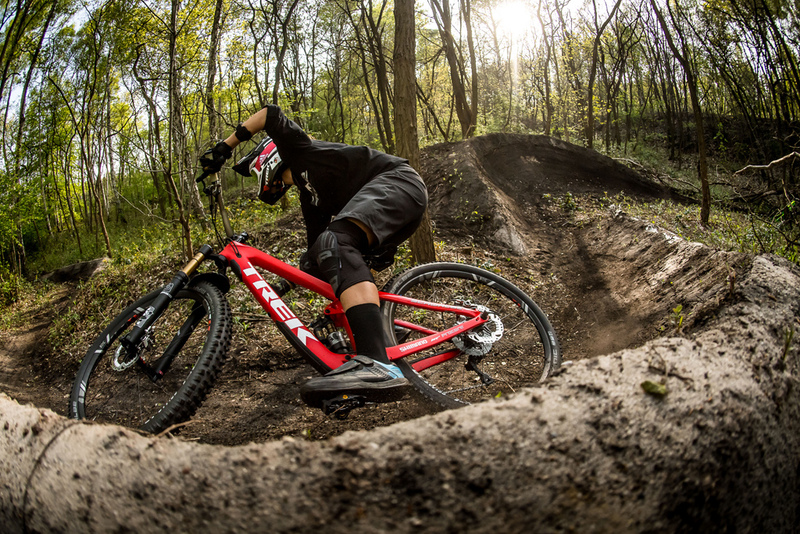 The Trek Remedy is such a fast ripper, I couldn’t resist than win the race. I finished the season with a broken leg in September but I’m so motivated to get back where I was and to add some more tricks to my dirt jump repertoire. Ride on! 2017 started with a trip to La Réunion, a French overseas department in the Indian Ocean. For two weeks we explored the island on our enduro bikes, riding quite a lot of the local enduro trails, not to forget the race track of Réunion’s Megavalanche starting on top of Piton Maïdo, offering an amazing view into the Cirque de Mafate..
During our holiday the volcano Piton de la Fournaise once again began its eruptions. Having been stopped by tropical cyclone „Carlos“ for a few days, we eventually went to Piton de la Fournaise by car and started our bike trip from the viewpoint at Pas de Bellecomb (2311m) overlooking the caldera, following a hiking path towards Piton de Bert located about 2 km from the eruption, to finally be able to watch the strange spectacle. On our next days off from work, we headed to Italy in May: the first stop was the Downhill European Masters Championships in Sestola, where once again I was awarded with another European Masters Champion jersey. From Sestola we travelled to Tuscany to spend some days on the road bike, relaxing at the pool and going to wine and dine, followed by a journey to Finale Ligure to meet friends who were participating in the "24 hours of Finale" MTB race. I was in trail - and shuttle heaven the next days…. In July I once again went to Alpe d’Huez, France to race the legendary Megavalanche (for the 8th time since 2006). Finishing 2nd in qualification and 3rd overall on race day made me a happy girl! At the end of July I went to the EnduroXRace in Susice, Czech Republic where I could finish 2nd, and in August there should follow a double win both in quali & race run at another mass-start downhill race, the Bike Attack in Lenzerheide, Switzerland. 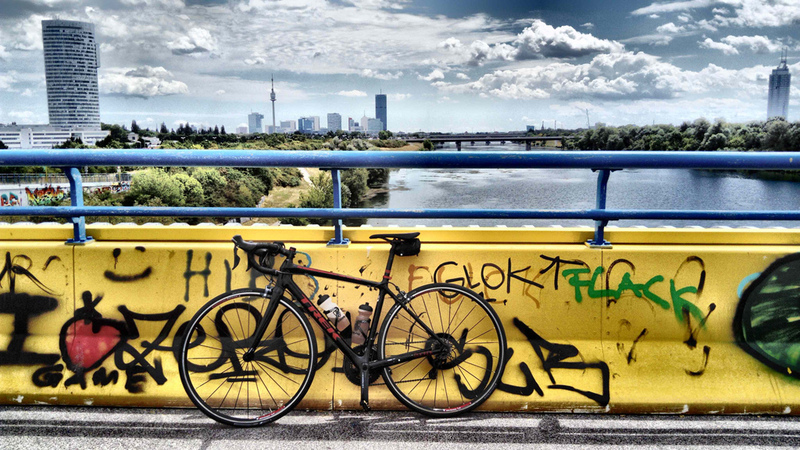 Between travelling, racing and working (of course…) I was able to spend quite some pleasant days on one of my bikes here and there around Vienna. Big thanks go out again to Trek for the support, let’s have another fun and successful year 2018 together! 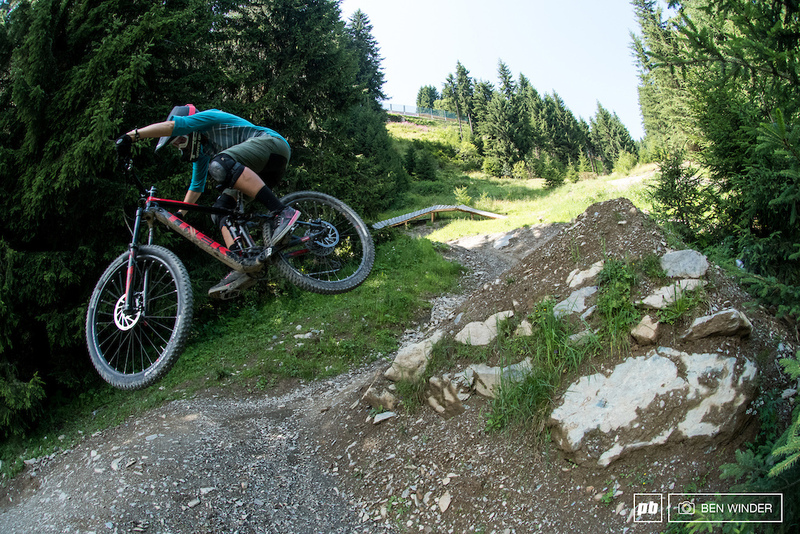 Katja enjoying the trails at her home resort Flumserberg, Switzerland, where she is working fulltime as the Marketing Manager, pushing Bikerberg Flumserberg forward. Thanks to all our sponsors for supporting us and keeping our dream alive! The whole concept of the Trek Gravity Girls is fantastic and seeing their adventures over the year has been a real pleasure. 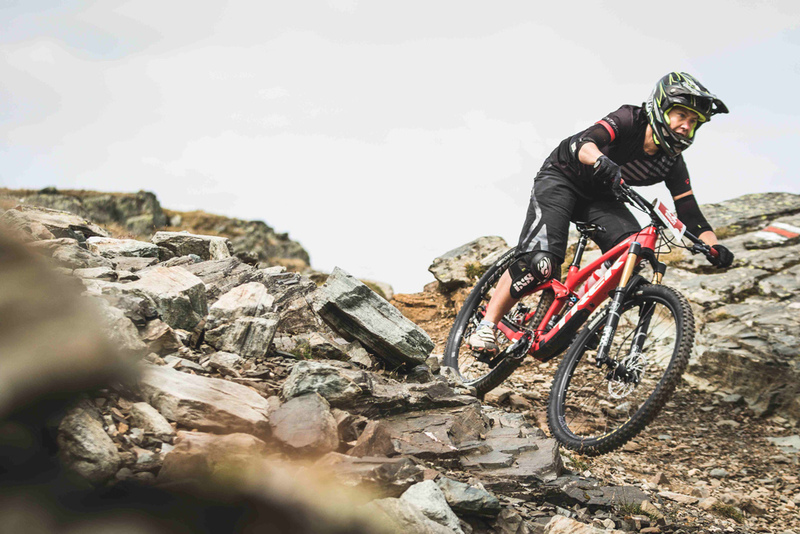 Steffi is a real badass rider and following her return from injury has been inspirational. 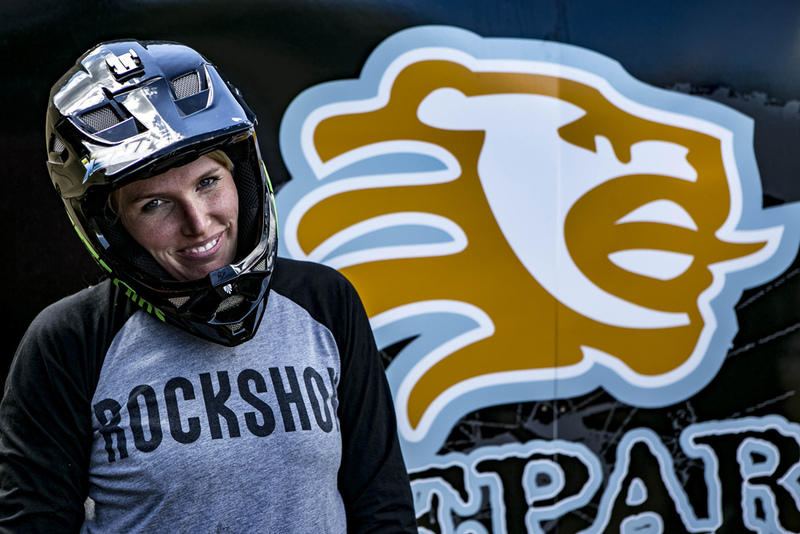 The work with Micayla as #twostokedgirls covering the Crankworx events has been outstanding, a true double act of skills and personality on the media scene & they have most definitely encouraged girls to try more. 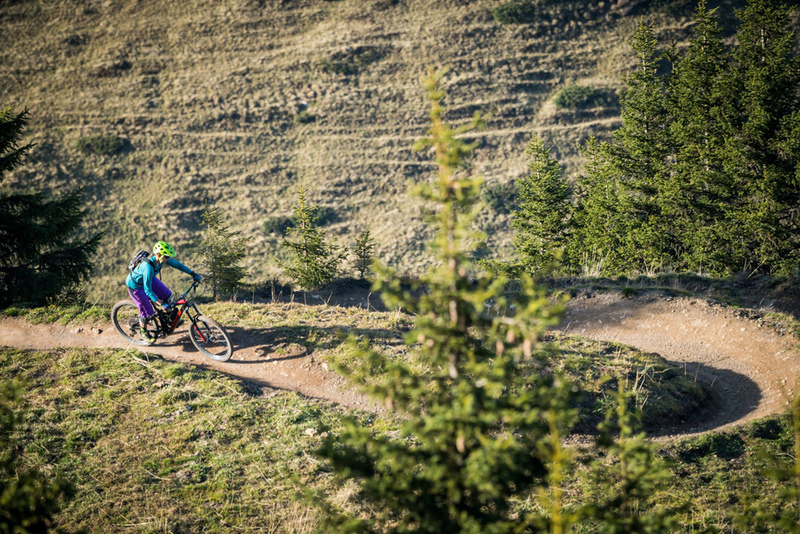 Some of the youngsters I ride with have got themselves a couple of brilliant role models and #ferdagirls is a rally cry that goes up as they drop in before whooping and hollering their way down trails, high fives and big broad grins at every opportunity. Wishing full and fast recovery for Steffi, great athlete and person. we need more Steffi, sorry Warner you've done a great job but its time to go. Never time for Warner to go...ever. Hardiharhar...wait you were joking right?